Our current issue features fiction, nonfiction, poetry, and artwork from: Emilia Phillips Marcus Wicker Leslie Parry Bob Hicok Suzanne Richardson Carl Phillips and many more. 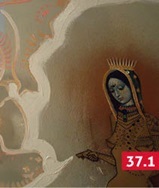 The award-winning literary magazine of The Ohio State University, The Journal is published four times yearly and supported by the Department of English, private contributions, advertisements, and sales. The magazine is endorsed by The Ohio State University, and its contents determined solely by the editorial staff. Address all correspondence to The Journal, The Ohio State University, Department of English, 164 Annie and John Glenn Avenue, Columbus, OH 43210. E-mail: managingeditor@thejournalmag.org.